The political transformation, that took place in Poland over 25 years ago, as well as Poland’s accession to European Union entailed a large number of changes, including agriculture. The most important of them were liquidation of national owned farms, free market development and increase manufactures competitiveness. These political changes caused also deep socio-economic transformations and landscape changes as well. The remote sensing applications in agriculture sector began with sensors for soil organic matter, and have quickly diversified to include satellite (e.g. Landsat), airborne (e.g. digital hyperspectral cameras), UAV (e.g. with multispectrals camera) and hand held or tractor mounted sensors. At present there is considerable interest in collecting remote sensing data as multitemporal series in order to conduct near real time: soil, crop and pest management. An example institution dealing with this topic is the Monitoring Agricultural Resources (MARS) Unit of European Commission’s Joint Research Centre, which focuses on crop production, agricultural activities and rural development. Our aim is to transfer these good practices to Polish agricultural area management. 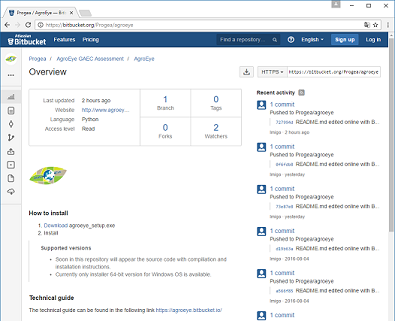 The first step to achieve the aim is development of an IT application called AgroEye. 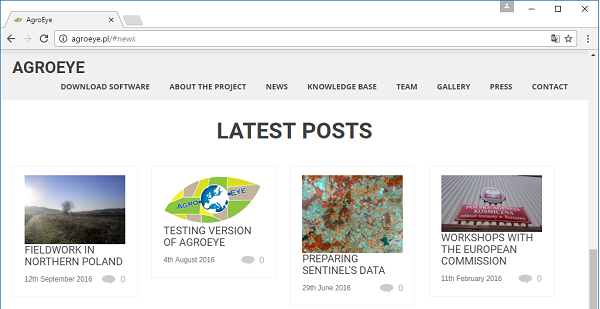 The AgroEye concept is an advanced Open Source application exclusively designed for monitoring agricultural lands in terms of GAEC. AgroEye will provide an easy to use spatial analysis system for agriculture, which can be used to support decision making and preparing spatio-temportal analysis. Any organizations interested in using application for purpose of monitoring and managing the environment, will get access to source code and the compiled application as well. The AgroEye application will provide a fast, accurate and simple way to check the dynamic of agricultural changes to help control rules for direct payments. Many of the GAEC rules require field-checking at least a couple of times within a year, together with spatio-temporal analysis. With remote sensing approach, it will be possible with reasonable financial expenditure.